Register for Summer Season HERE! Rehearsals begin SOON! Join us April 15th from 6pm-9pm at Rogers High School for Day 1 of an EPIC summer experience! The 728 Cadets is open to all current 7th - 12th grade students in ISD728. New students will work side-by-side with our highly qualified staff of music educators and with mentors in their sections to learn everything they need to know about marching band. Students are not expected to know anything about marching when they join! In addition, students this summer have the opportunity to travel with the band to Colorado. 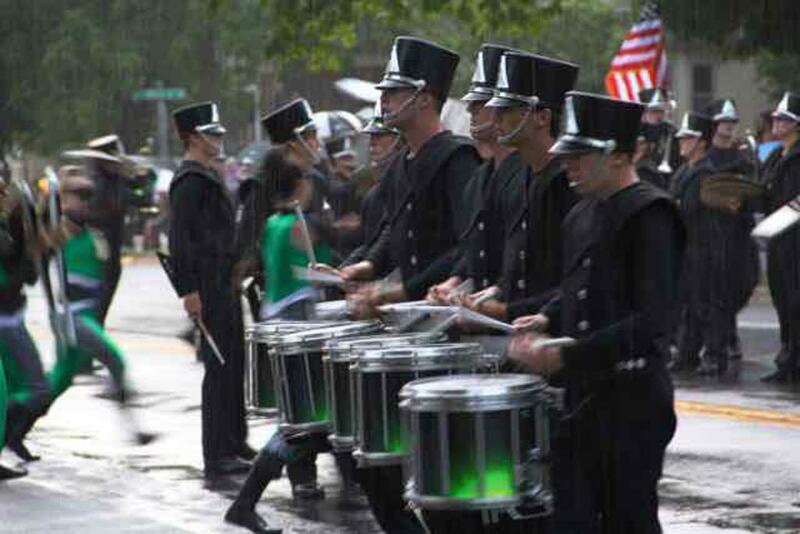 We will perform in a number of July 4th parades in the Rocky Mountains! The 728 Cadets Summer Marching Band is one of the most successful and elite bands in the summer circuit. The Cadets have been State Grand Champions at the Alexandria Vikingland Band Festival 4 times, in 2013, 2014, 2015, and 2017. In addition, they were undefeated in competition during the 2017 season! Students who are members of this group learn valuable musical lessons about practice, performance, and ensemble unity, as well as many life lessons including discipline, hard work, and setting long term goals. We truly believe that this program has a very positive benefit on band students and will motivate them to continue their growth as musicians! Please consider encouraging your student to become a member of the 728 Cadets! The 728 Cadets pulls members from every middle and high school in our district so students have the chance to make new friends and meet students with similar interests across our district. These students truly become friends for life and will make connections unlike anywhere else. Interested in becoming a sponsor of 728 Cadets Marching Arts?